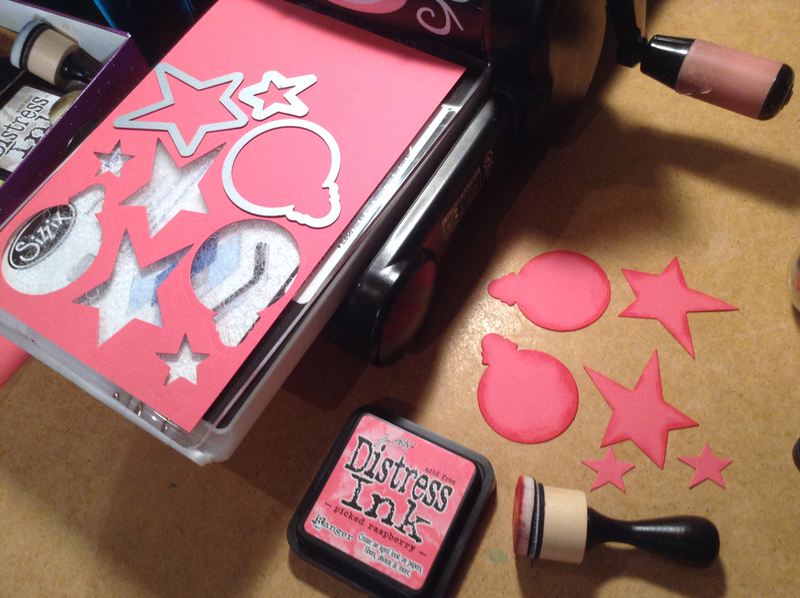 I tried the PixScan technology and my new pixscan mat lately for cutting a failed print and cut job. This is so cool! It happens often to me and I find it a pity to throw away a whole printed page just because it is not possible to cut it with my Cameo due to registration marks errors. So now I just put the page or parts of it on the pixscan mat and take a picture. 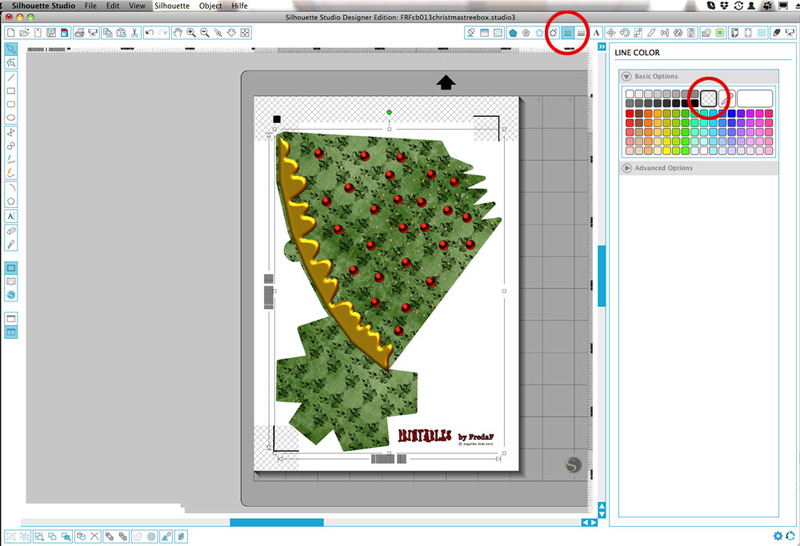 I fire up SilhouetteStudio, import the pixscan pic and copy the traced shape from my former print and cut project. 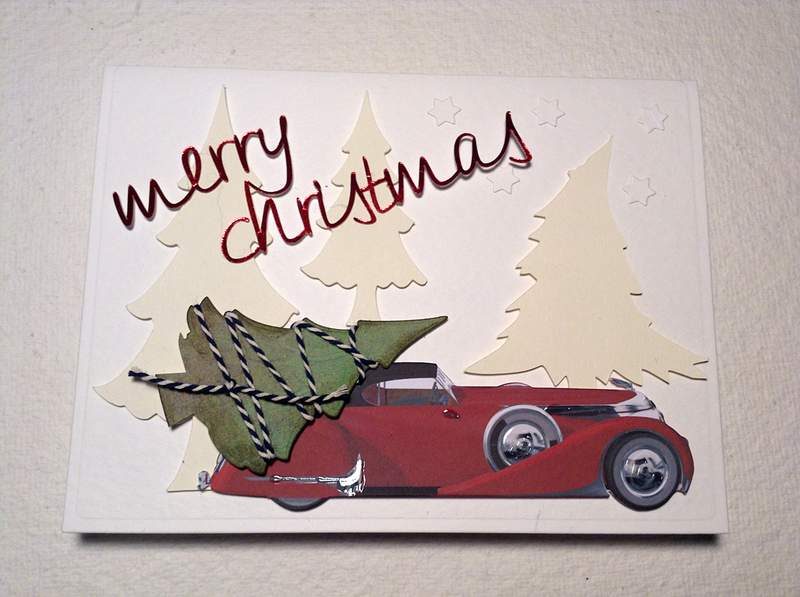 Then I cut it from the pixscan mat and done. 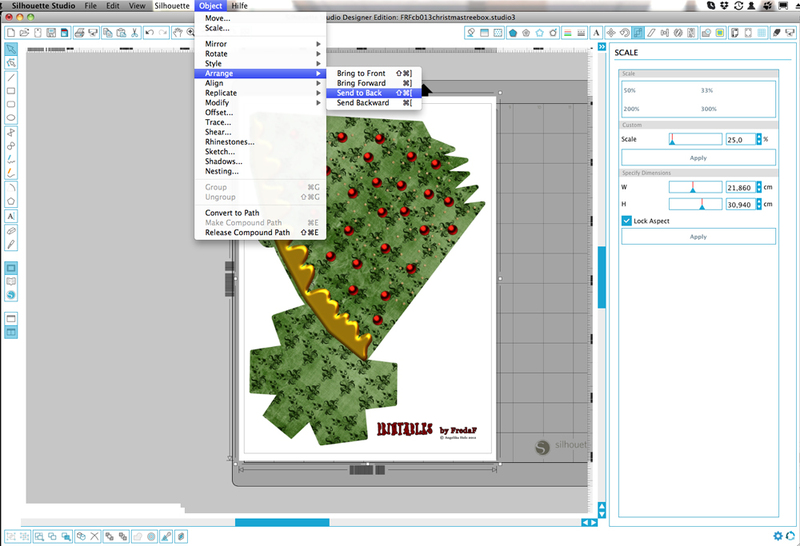 Another big advantage of the pixscan mat is, that there is a much bigger work space than with print and cut, very handy if you want to use the maximum size for your prints. 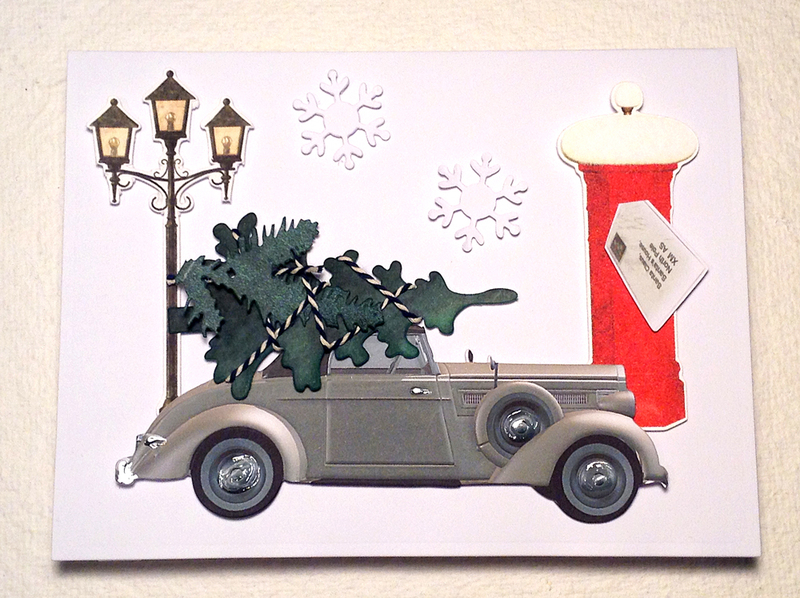 Enjoy the holidays with your beloved ones. 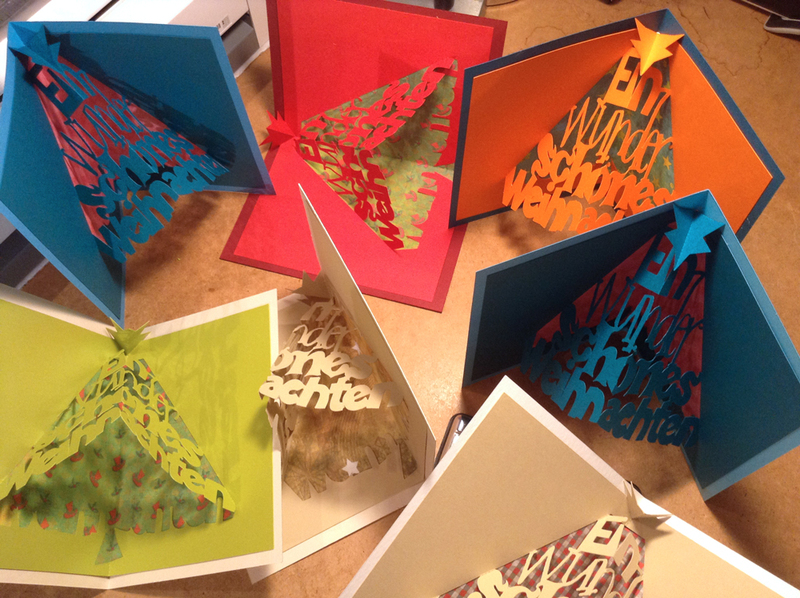 These pretty christmas tree boxes are created by me. 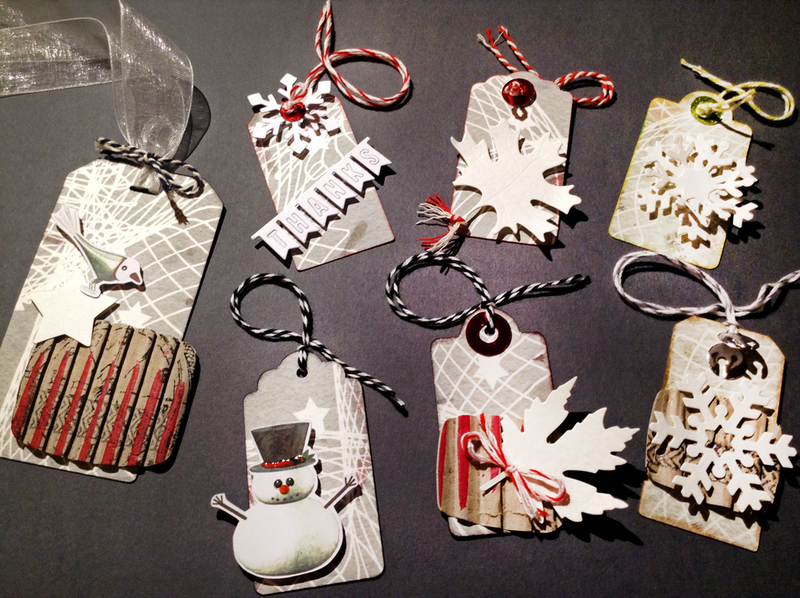 They are perfect for jewelry and other small gifts. 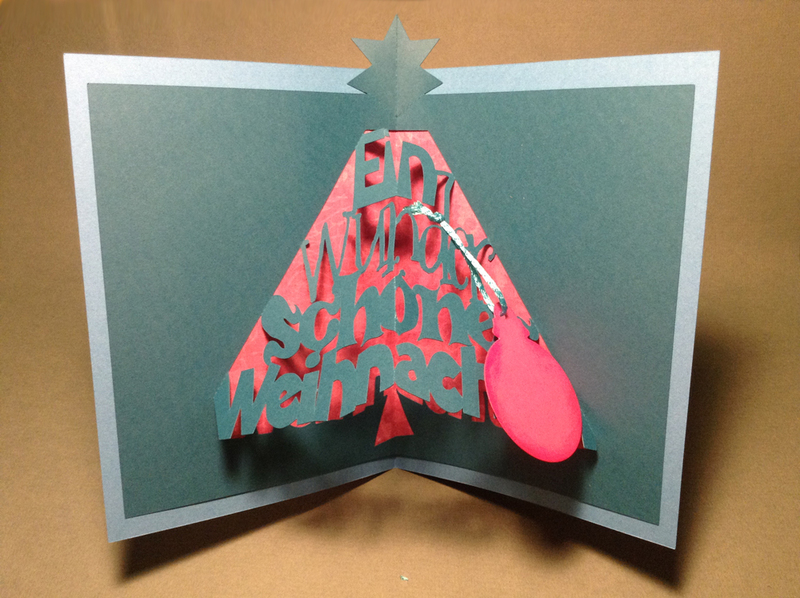 They are available as cutting files, but also just as printables to be cut by hand with a scissors. 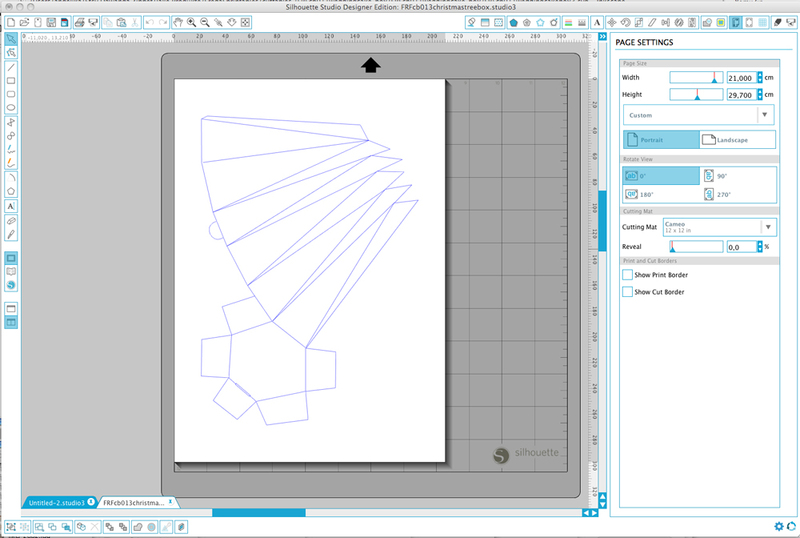 But this is mainly a tutorial for Silhouette Cameo users to show how to print and cut .dxf files and hide the cutting lines from being printed. 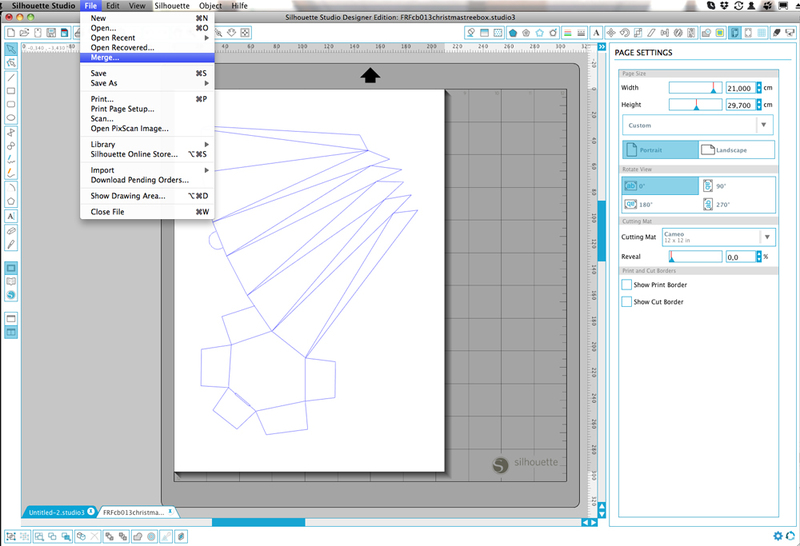 You can use this tutorial for any .dxf file. This way you can easily create the print and cut files with the basic version. 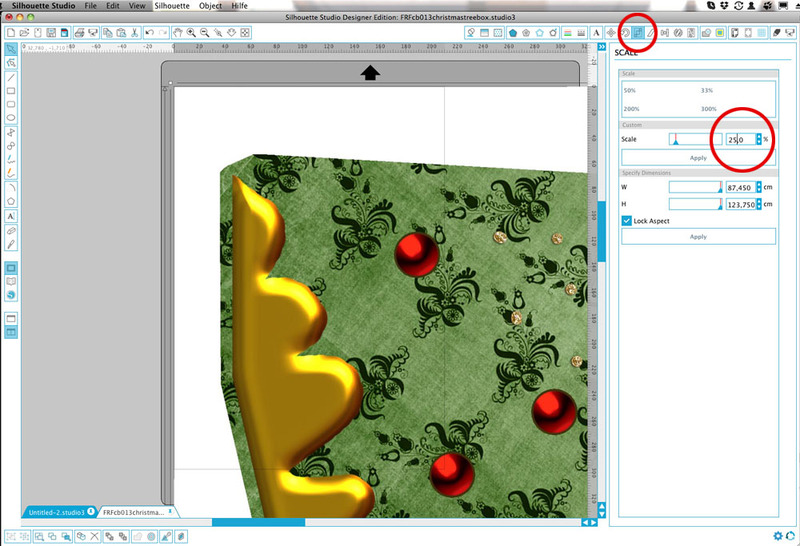 I do a step by step tutorial here that hopefully gives you a guide through all the steps and helps to use my and also any other dxf files with .jpg or .png images. 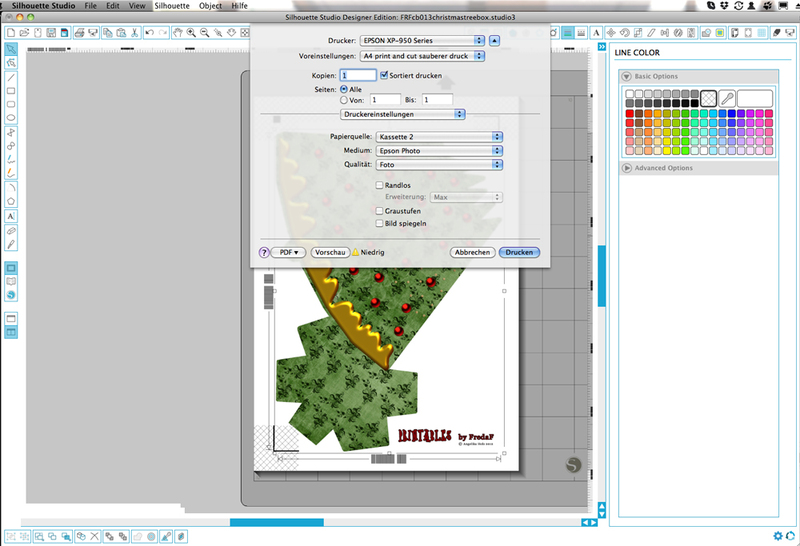 With Silhouette Studio, your cutter and your various printers there are a lot of different custom settings possible. So it might look different on your screen and on your system. There are also different ways to do things and this is just how I do it. If you got a questions or you are totally stuck with something just add a comment here or contact me by email. I will try to help as good as I can. 3. 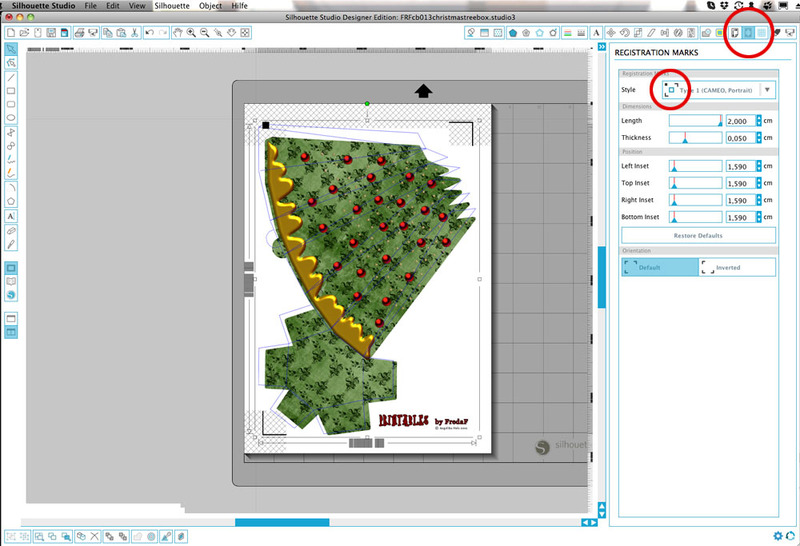 While the image is still selected go to the scale window and scale down the image to approx. the page size. 4. If the image is gone now, don’t worry, go to “Align” and center the image to page. There it is again. 5. Now the cut lines are gone! You get them back with sending the image to the back. 6. 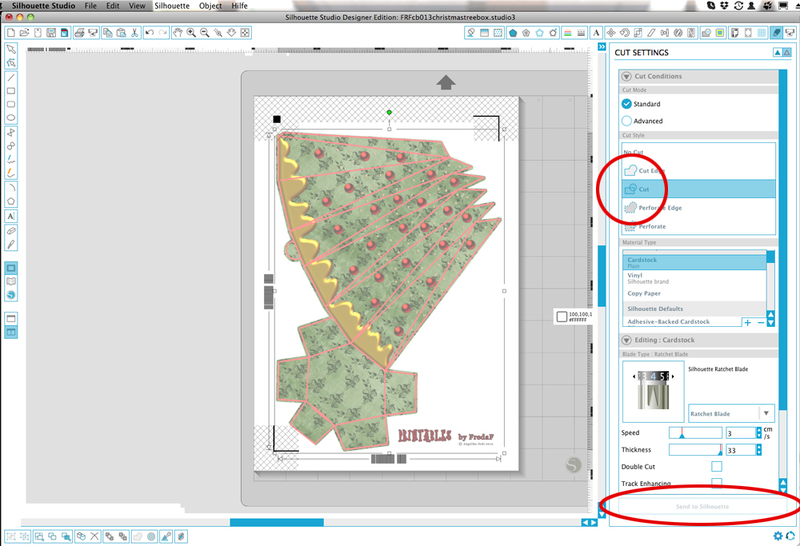 Now activate the registration marks and adjust the image to the cut lines, that all cut lines are inside the cutting area. The registration marks mark the maximum cutting area. Watch, there is a small bleed on my file. 7. If you don’t want to see the cut lines printed you have to make them transparent now. 8. Now you print your page. Please take care that the page settings is set to 100% and also your printer settings are matching the page size and is set to 100%. It can be a bit tricky to find the good settings. Mine has so many options. So I created a printer preset in my printing menue for print and cut after I fiddled out the perfect settings. Best you first do a test print and cut on cheap paper. 9. It happened to me, that the transparent lines didn’t cut. So now you have to color them again. One nice trick is to make them the color of the pattern with the eyedropper tool. So if you save the .studio file for later you don’t have to think of transparency anymore. 10. Now go to the cut menue, select all and set it to “cut”. Then the cut lines will show up red. If you haven’t done it yet now save your file as a .studio or .studio3 file for later use. 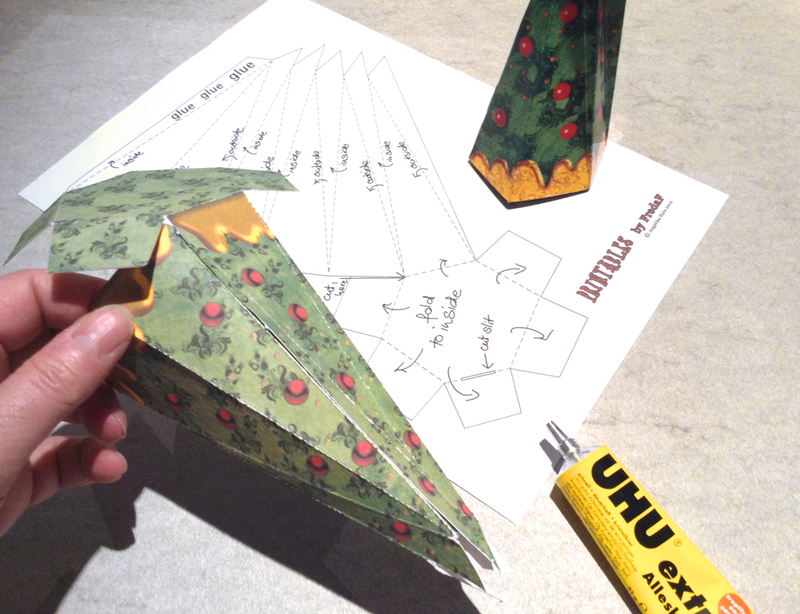 Then adjust the cut settings to your material, load the mat with your paper and send to the cutter. 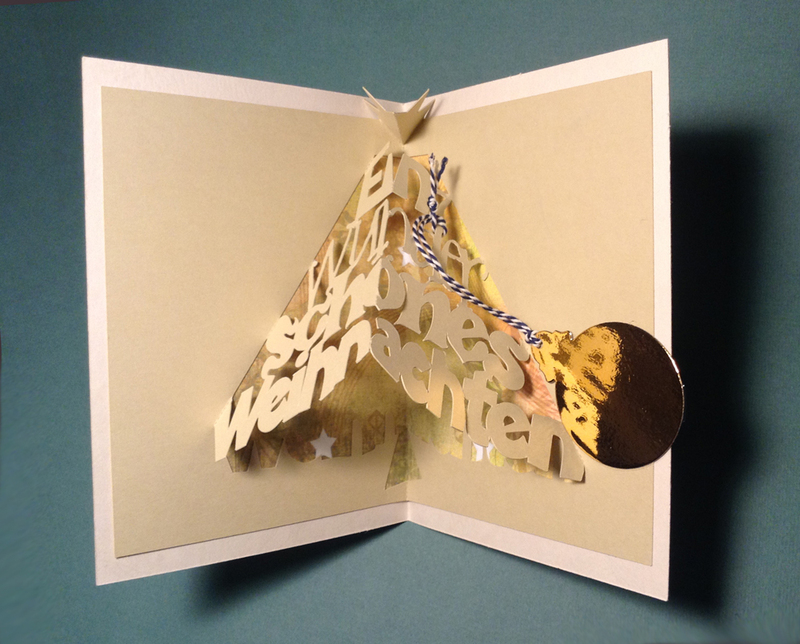 Last weekend I’ve been invited to a crafts trade show “Kreativ Tage Berlin” to show the making of my designs I create with the Silhouette Cameo. This was a wonderful chance for me to go in public and to meet users in my own region and I never expected there were so many! The host company Kreativplotter.de gave me a brand new Cameo to play with so I could try the new touch display. I directly fell in love with the “repeat job” field, so simple and I need this all the time. The new USB slot is very handy while the SD card was a bit little and old fashioned. Apart from that and a new look the machine is almost the same. I don’t think I am going to replace the one I have as long as it is working well. But I looked at all the Silhouette material I’ve never seen in real and at techniques I’ve never used like cutting fabric, heat transfer, vinyl. And after I got a presentation of how the pixscan works and what you can do with it I HAD to HAVE a pixscan mat! What a cool thing!!! 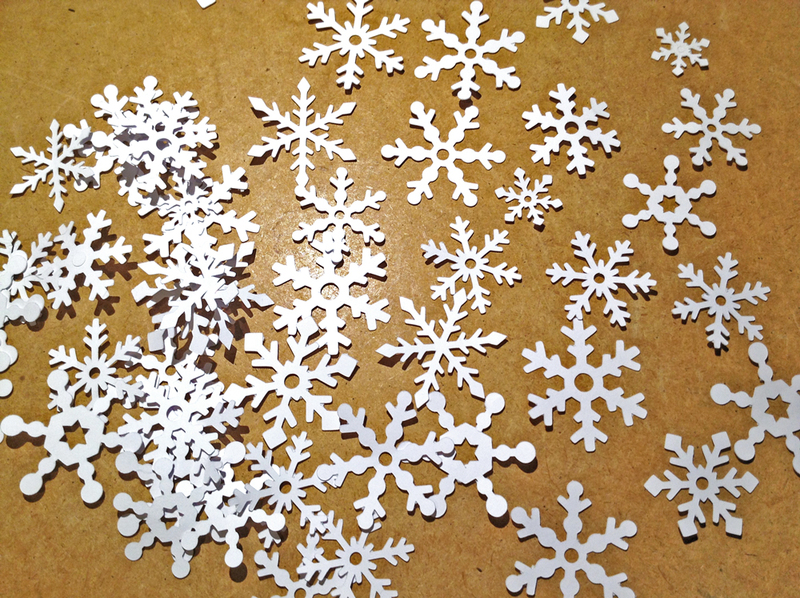 I made a lot of new things for the fair and some files in Studio especially for this event like these snow flakes. 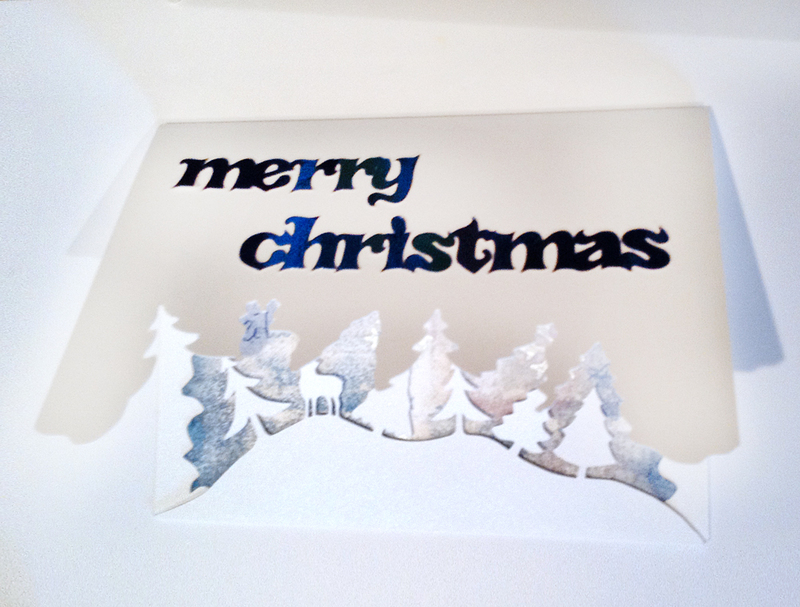 It is one page filled with snow flakes of different shapes and sizes. 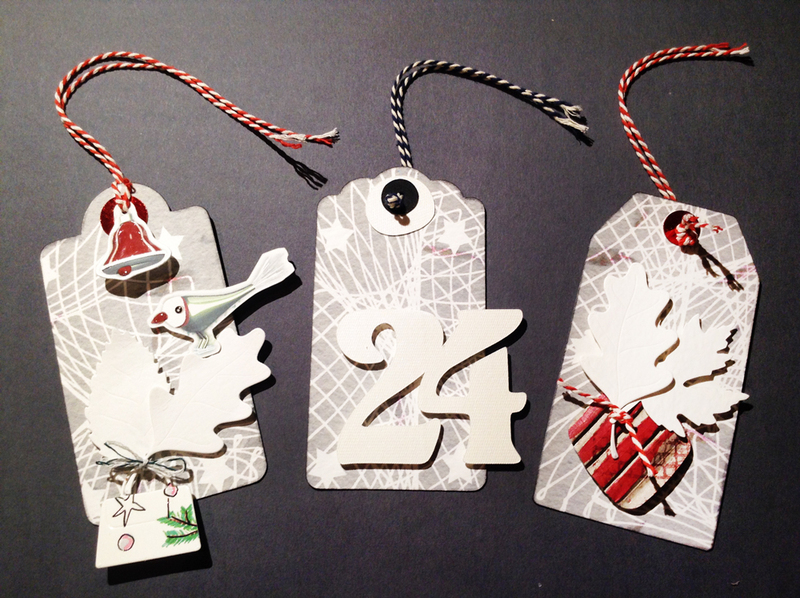 They are cutting very well with white card stock even if they are small. It looks as if I will have more german followers now. So I started to create another blog in german language. 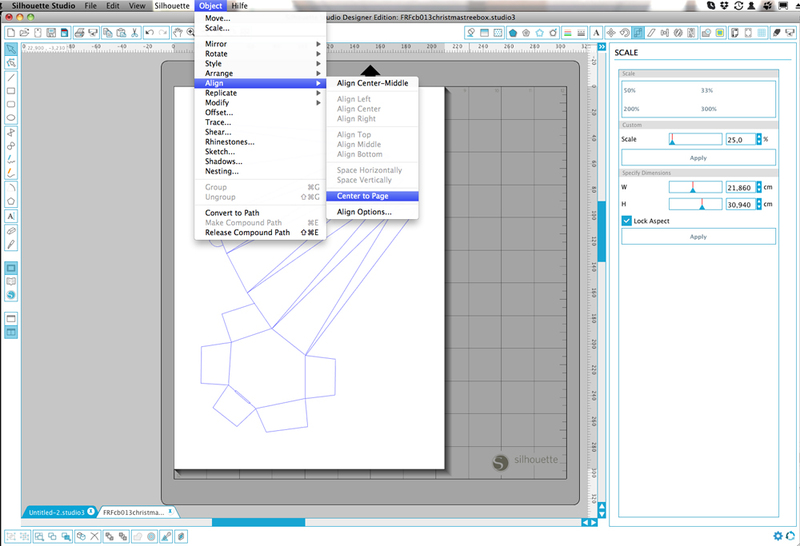 There are not too many informations and tutorials for the Silhouette software and machines in german so I plan to focus on Silhouette related things and tutorials more while I focus on artistic things more on my english blog. I added a link to my new blog at the top menu for those who want to follow. 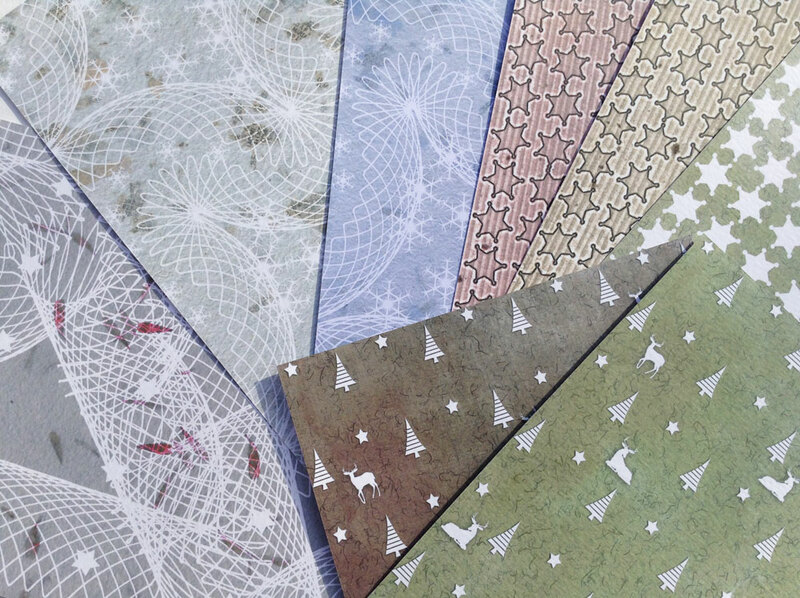 Last week I packed some sets of printable holiday and christmas papers, but also with neutral winter motifs I created. 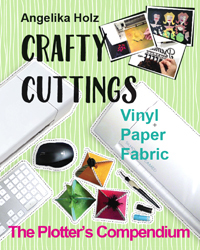 There are just so handy coming in a ready to print size as pdf for crafting, die cutting and electronic cutting of cards, tags and ornaments. Have fun and have a great sunny weekend! Have a wonderful Holidays, my appreciated followers, have some peaceful days with your beloved ones and some extra time to relax, forgetting all the commerce before christmas and getting back to the real sense of this celebration and this beautiful time of the year.